What types of Service Dogs does NEADS train? 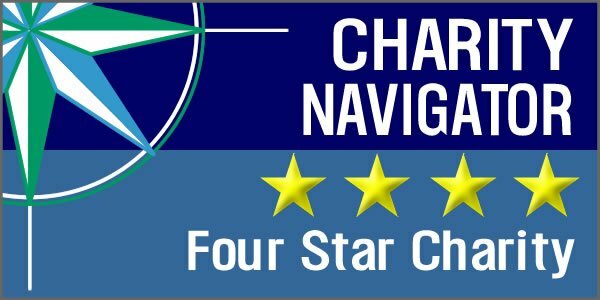 Where does NEADS place Service Dogs? You will find NEADS Service Dog teams living in nearly every state of the US. What types of Service Dogs does NEADS NOT train? NEADS does not train dogs that are already owned by individuals. NEADS does not certify dogs we have not trained. For help with any of the above, we recommend visiting Assistance Dogs International (ADI). Which breed of dog does NEADS train most often? Many of the Hearing Dogs NEADS trains are rescued from animal shelters throughout New England. There isn’t one particular breed that makes a better Hearing Dog, so NEADS often selects mixed breeds from shelters. They tend to be under 50 lbs. and have high energy. Our trainers select Hearing Dogs based on the dog's innate initiative and receptiveness to sound. Are male or female dogs better to train for Service Dog work? NEADS trains both male and female dogs of all shapes and sizes. All NEADS dogs are spayed or neutered. At what age can a dog start learning to be a Service Dog? NEADS dogs wear something around their nose. What is that? How does someone get a Service Dog from NEADS? People find out about NEADS through the internet, referrals from independent living centers and other programs, and by meeting graduates, puppy raisers and volunteers. 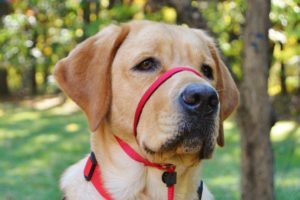 To apply for a Service Dog, an applicant fills out an application, and schedules a personal interview at the NEADS Princeton, Massachusetts campus (or with a nearby NEADS representative, or via video). If accepted, the individual goes on a waiting list until our staff identifies the right dog for their needs. How much does it cost to train a Service Dog? It costs NEADS nearly $45,000 to acquire, raise, train and match a Service Dog. We ask each of our each of our accepted clients to support NEADS by raising $8,000. This contribution will help us continue to provide dogs for future clients, as it costs nearly $45,000 to acquire, train and match each of our unique and highly trained dogs. Find out more about Client Fundraising here. What happens to dogs that don’t complete the training? Service Dog work is not right for every dog. Dogs that don’t complete the training (they may have a minor medical issue, be too shy in public, or chase squirrels, for example) make great pets. We affectionately call these dogs "Furloughed Favorites." More information about Furloughed Favorites. NEADS was one of the pioneers in developing this intensive training method. People who receive a NEADS Service Dog live on our campus for 10-14 days for extensive training with their new canine partner. Our clients are able to immerse themselves in the process of bonding and training with the dog. Learn more about client training. Do Hearing and Service Dogs have the same public access rights as guide dogs for people who are blind? Is it ok to pet a Service Dog when he or she is working? What happens when a Service Dog can no longer work? Usually, the dog is retired as a service animal and becomes a pet for the person with whom the dog was matched. The client may also choose to get another Service Dog. Can NEADS train my dog? We can not. NEADS exclusively trains dogs that we get as puppies here on campus. Assistance Dogs International has a list of organizations across the US, some of which will train your own dog. For more information, please visit Assistance Dogs International. Can Service Dogs be placed in homes that already have a dog? Depending on the situation, yes, Service Dogs can be placed in homes that already have a pet dog. Other questions that you feel belongs on this page? Submit them below, and we'll do our best to provide an answer. 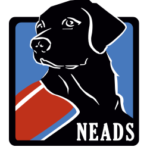 Does NEADS have a Service Dog program to help someone with depression, anxiety, or another mental health diagnosis? Does NEADS have a Service Dog program for a civilian with PTSD? NEADS does not have a Psychiatric Service Dog program. If you are a veteran looking for a Service Dog to help with PTSD, please contact us using the form on this page. NEADS does not have a program for emotional support or comfort animals. For a Psychiatric Service Dog program that may be able to help, contact Assistance Dogs International. For emotional support animals, we suggest talking to a trainer or veterinarian in your area who may be able to help you find and train a dog that can provide comfort in your home. A: NEADS does not train dogs that are already owned by individuals. Contact Assistance Dogs International for information about other organizations who may be able to help. Can NEADS bring puppies to an event I'm hosting? Our World-Class Service Dogs complete their 18-24 month training off campus through our Prisoner PUP Program and with our volunteer Weekend Puppy Raisers; therefore we are not able to guarantee attendance of dogs for presentations. Furthermore, we bring our Service Dogs in Training out in public for specific training exercises. This means they are working, and are not available for petting and playing. You may want to consider a visit from a pet therapy organization, which you can find by searching online.